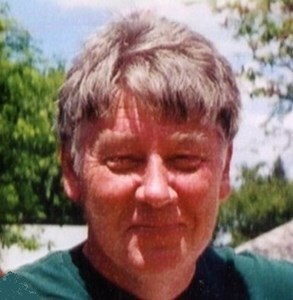 Charles S. "Chuck" Belekevich, 65, of Green Bay, departed this life on Wednesday, July 18, 2018 at Aurora Baycare Medical Center. He was born on September 25, 1952 in Sheboygan, WI, a son of the late Charles A. and Ann (Skeris) Belekevich. Chuck graduated from Green Bay West High School. He also obtained an Associates’ degree in Credit Management from NWTC and a Bachelor’s Degree in Business from Lakeland College. He worked at Wisconsin Public Service and taught evening classes at NWTC for several years before following his dream of being a business owner, purchasing Granny’s Restaurant in Seymour, WI. In his spare time he enjoyed playing sports including baseball, basketball, running and golf. He was an avid Green Bay Packer and Philadelphia Phillies fan. Chuck overcame many obstacles in his life but always kept a positive attitude. He reminded his family and friends not to sweat the small stuff. He is survived by his children: Steve (Heidi) Belekevich, Alicia (Javier) Sandoval, and Matt Belekevich. He also leaves a longtime companion, Tami Fields, and her daughter Alyssa. Chuck also leaves his siblings: Larry Belekevich, Cedar Rapids, IA; Sue (Del) Brown, Madison; Diane (Chuck) VonHaden, Green Bay; and Jim (Lois) Belekevich, Verona. In addition to 6 grandchildren: Libby, Maria, and Sophia Belekevich; Jackson Boehm; Trieshon Fields and Anthoney Vandanburge, he also leaves numerous nieces, nephews, extended family and friends. Visitation will be held on Saturday August 4th from 3 - 5 PM at Newcomer - Green Bay Chapel, 340 S. Monroe Avenue, Green Bay. A memorial service celebrating his life will follow at 5 PM. In lieu of flowers, memorials directed to Paul’s Pantry or New Community Shelter Inc. in Charles’ name are appreciated. Add your memories to the guest book of Charles Belekevich. I was sorry to read this morning of Chuck's passing. We were friends through grade school and high school and teammates on several basketball and softball teams. I remember sitting in his dad's basement in the late 60's listening to Phillies games coming through from WCAU in Philadelphia. My thoughts and prayers are with his family. Warren J. “Ren” Newcomer, Jr. is a licensed funeral director in the states of Kansas and Ohio. Theresa Newcomer is not a licensed funeral director. Shawn M. Smith, Managing Funeral Director.